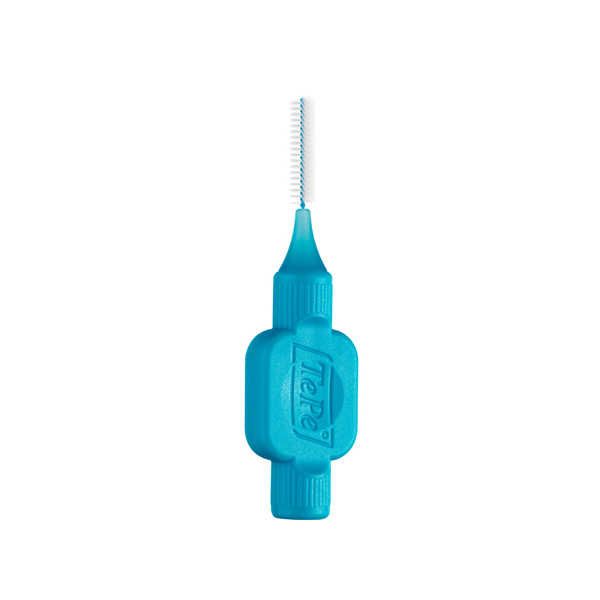 All sizes and models of TePe's interdental brushes have plastic coating on the wire for safe gentle cleaning. The interdental brushes can also be used for cleaning around implants or braces. Tepe Interdental Brushes Original have a straight neck, while Tepe Angle has a pre-angled neck for extra good access between the back teeth and from the inside. The four smallest sizes of TePe Interdental Brushes Original have a flexible neck for even better access. All models have a flat, ergonomic handle for a steady and controlled grip.